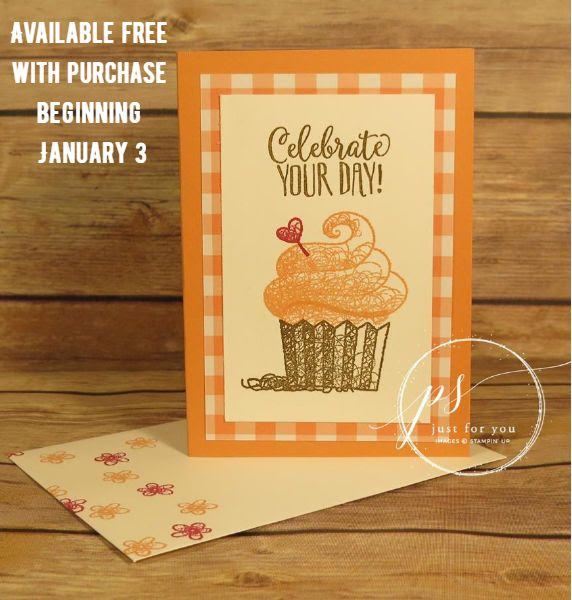 Note: This stamp set is part of our Sale-A-Bration offering January 3-March 31, 2019. Choose one item for every $50 you order. See full set image below. 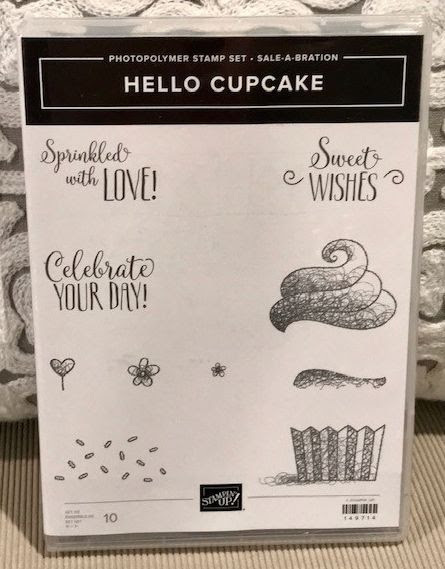 Stamp cupcake base at bottom of smaller white cardstock with Soft Suede ink. Stamp middle part of icing and top icing with Grapefruit Grove ink. Stamp heart pick with Lovely Lipstick ink. Stamp “Celebrate your day!” at the top with Soft Suede ink. Adhere gingham DSP to folded card base. Adhere stamped piece to card base. Paint heart pick with Wink of Stella. 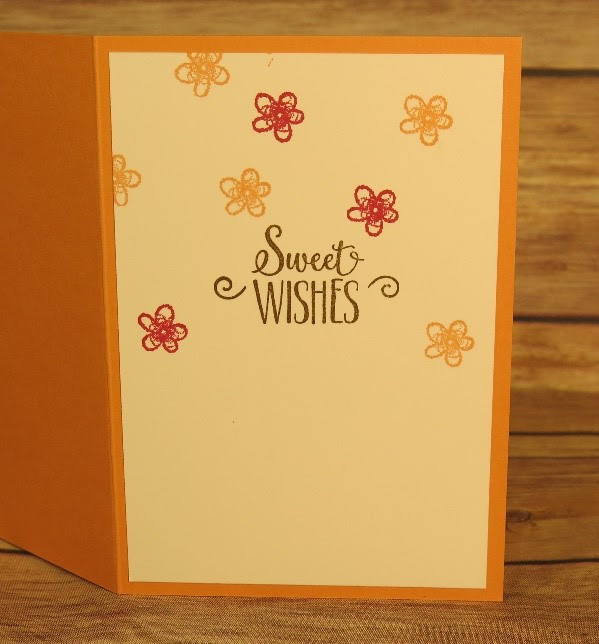 Stamp “Sweet wishes” with Soft Suede ink on larger white cardstock piece. Stamp several flowers using Grapefruit Grove and Lovely Lipstick. Adhere to card inside. Stamp several flowers on envelope, too, if you like.